We believe access to credit and quality financial services is a human right. Our mission is to empower all people with the financial access they need to pursue a life of dignity and prosperity. We empower individuals with access to credit, simple payments solutions, high-yield investment opportunities and easy-to-use tools for personal financial management. Carbon is headquartered in Lagos, Nigeria. We are a global company of over 40 employees with operations in Ghana, South Africa, United Kingdom and Portugal. As the suite of financial services offered in the app expanded from just loans and into payments, investments and personal finance management, the name 'Paylater' became a little limiting! Enter Carbon. 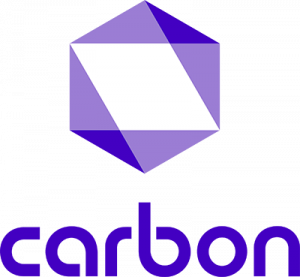 Carbon represents our aspiration to go everywhere with our customers, form an essential part of their existence and be versatile enough to change or innovate to fulfill their needs. The renamed service signaled our intent to offer the most diverse digital finance platform, anywhere. Thousands is good, but Millions is better! The founders realize that by leveraging technology, they could provide access to credit to significantly more consumers, and make the application process easier along the way. The Paylater mobile app was launched in May 2016. It was the first service of its kind. A fully digital consumer lending experience, available 24/7, that can get borrowed funds into a person’s account in minutes. After just 2 years in market, the Paylater mobile app was downloaded by over 1 million users. 2015: More credit for more people. With the introduction of the unique Bank Verification Number (BVN) and national credit bureau services, it becomes possible for the company to provide more loans to more people, not just salary earners. The company broadens its service offering, leveraging a network of agents on the ground to get lending services in the hands of thousands of Nigerians under the OneFi brand. One Credit is founded in Lagos, Nigeria. The company provides loans to salary earners only, using a paper based application process that requires supporting documentation. As a foreign professional in New York and Johannesburg, Chijioke experienced firsthand the disadvantages of not having credit history. Being required to pre-pay for most services was expensive, especially for young professionals just starting out. This is the burden that Nigerians face every day, and that Carbon hopes to relieve. Prior to co-founding Carbon, Chijioke sourced direct investment opportunities for the IFC and Zephyr Management LP. Chijioke holds an MBA from the Harvard Business School, an MSc in Risk Management from University of Reading, and a BA in Economics from University of East Anglia. Ngozi has had a fascination with credit since taking his first loan as a University student. He was intrigued by the trusting customer relationship that is needed to run a credit business. At Carbon, he takes pride in building that trust with thousands of customers every day. Ngozi co-founded Carbon after eight years as an entrepreneur investing in distressed companies across Africa, following a successful career in finance and risk management. He holds an MBA from the Wharton School, Msc in Computation from Oxford, First class degree in Physics from Imperial College and a CFA (R) charter. Generator: Sketch 50.2 (55047) - http://www.bohemiancoding.com/sketch Created with Sketch.